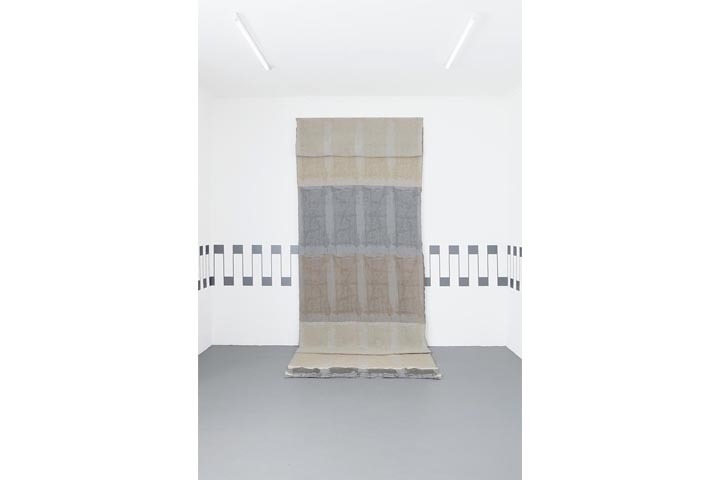 Hana Miletić’s exhibition “Materiale” features an automated work, automated works manipulated by hand, a hand-woven work using the experience of automation for its production, hand-dyed works, both hand-woven and automated. Automated and manipulated. Miletić’s works evoke different traditions and practices of tangibility and care, spanning from handmade production to the delegated work of automation. The works are informed by images of reparations found in public space, which are at the same time signs of scarcity and gestures of maintenance. 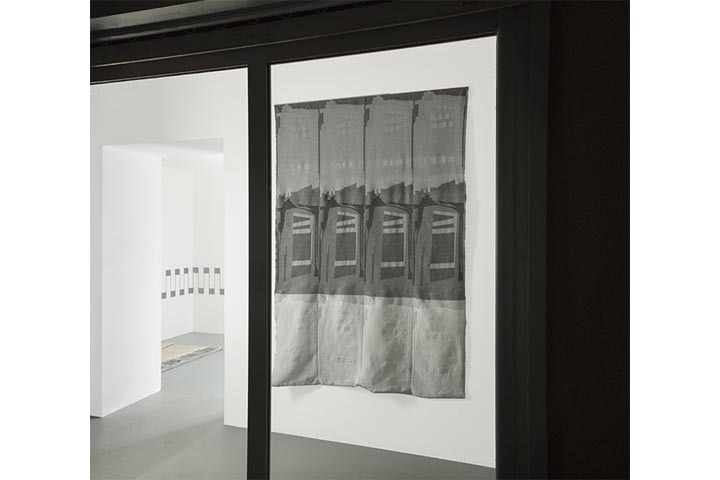 The artist translates these signs and gestures into the medium of handmade and automated weavings. 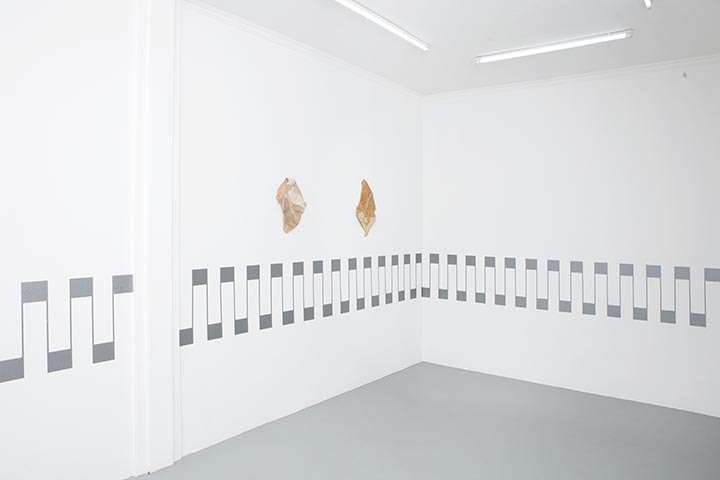 Thereby she constructs considerate installations by interlacing seemingly unrelated threads: from urban photography to textiles, to households and to overlooked aspects of automation. Vectors and care. 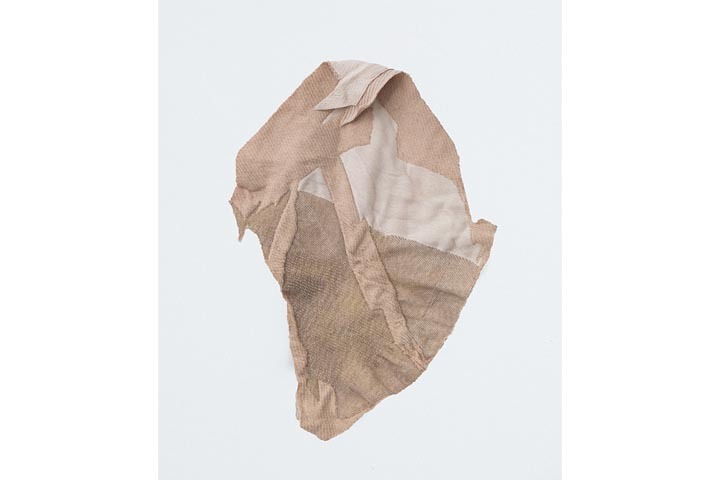 By creating links between different traditions of textile production, while tracing certain social and economic processes, the artist references at once her own experience as well as a more collective, regional memory. She observes signifiers of damage and attempts to repair them. The translation of snapshots into objects becomes a meditation on materiality and vulnerability. Miletić’s tactile works depict these snapshots, or rather excerpts. Multiplied and reproduced. The texture of the yarns and the threads follows the order of the grid, but also distorts and swells the latter. 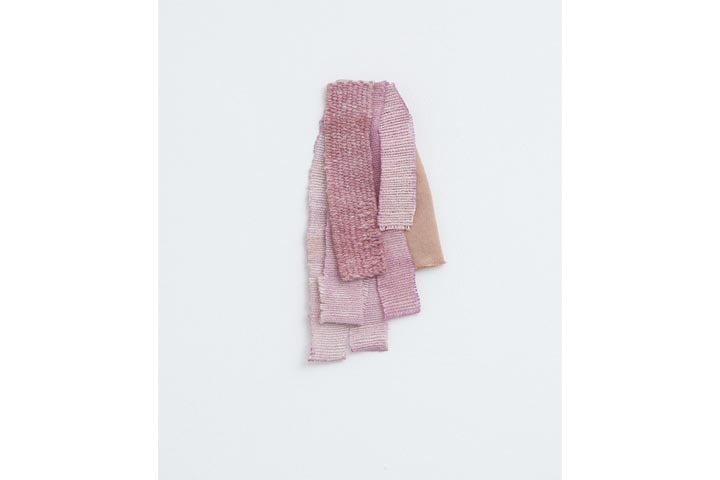 Some of the yarns have been dyed by organic pigments using household leftovers: from more traditional ones like beetroot or onions, to more contemporary ones like avocado. 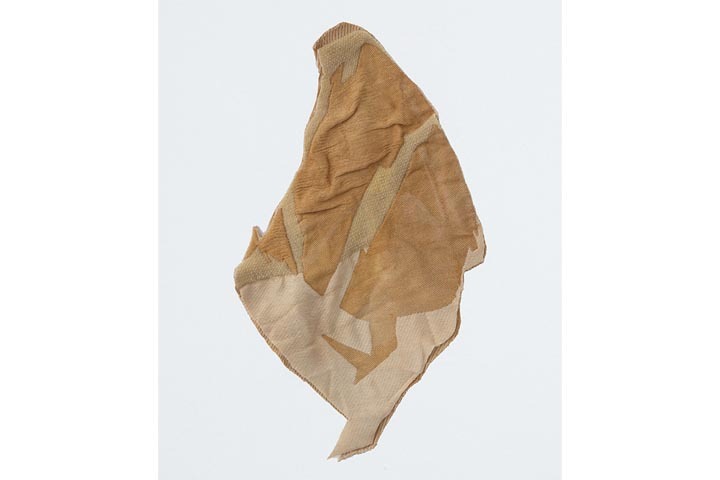 The textile manufacturing tradition present in the artist’s family emerges in an embodied way. Invisible hands vanish behind repeated patterns and places, raveled with looms almost as if they were extensions to each other. Covering and protecting. An interview version of this text will be published in Blok Magazine.